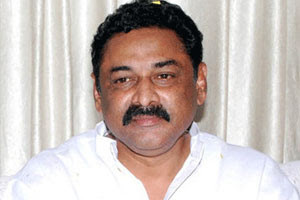 Nandyal YSRCP MLA Bhuma Nagireddy along with his daughter Bhuma Akhila Priya would be joining the ruling Ruling party in Andhra Pradesh (TDP). Reports were also doing the rounds that Bhuma Nagireddy has resigned from his post as the Chairman of the Parliamentary Accounts Committee. However, Bhuma Nagireddy denied the reports of his resignation from the PAC. The YCP leader who has family ties with party president YS Jagan Mohan Reddy said that he won't take a decision on leaving the party now and hinted at having talks with YS Jagan who is in Delhi right now to discuss the state issues with the Central leaders.